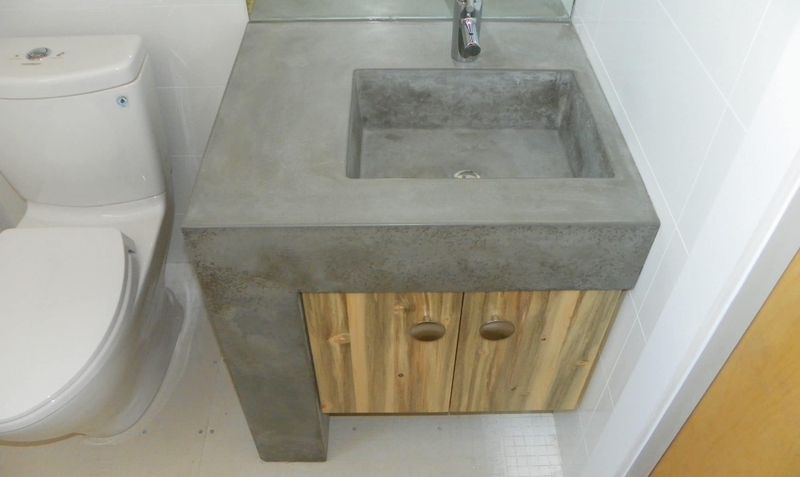 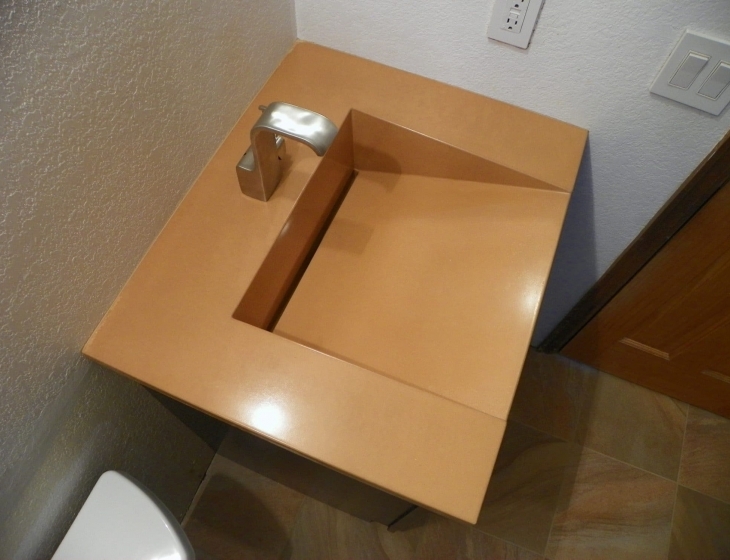 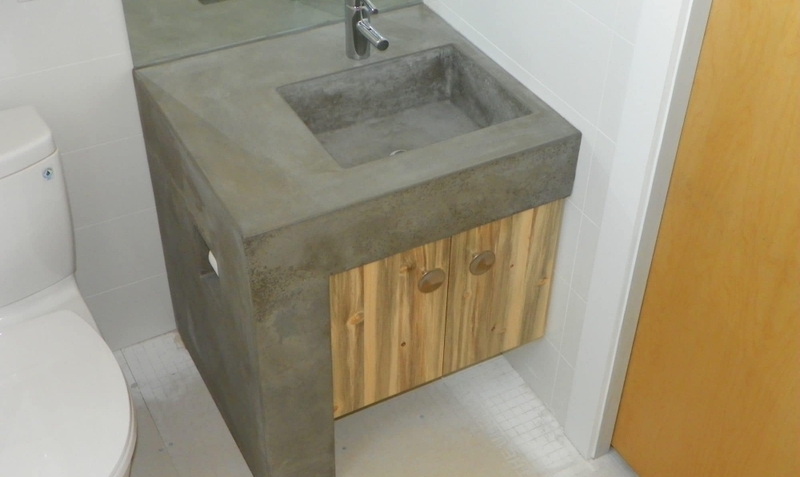 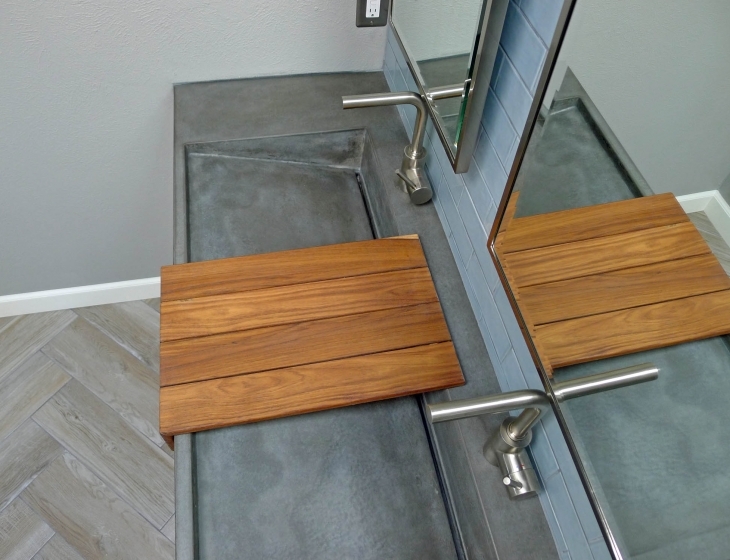 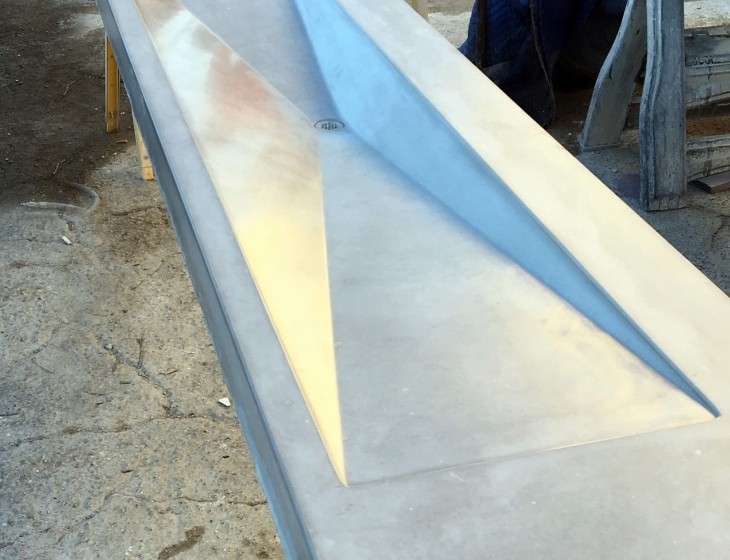 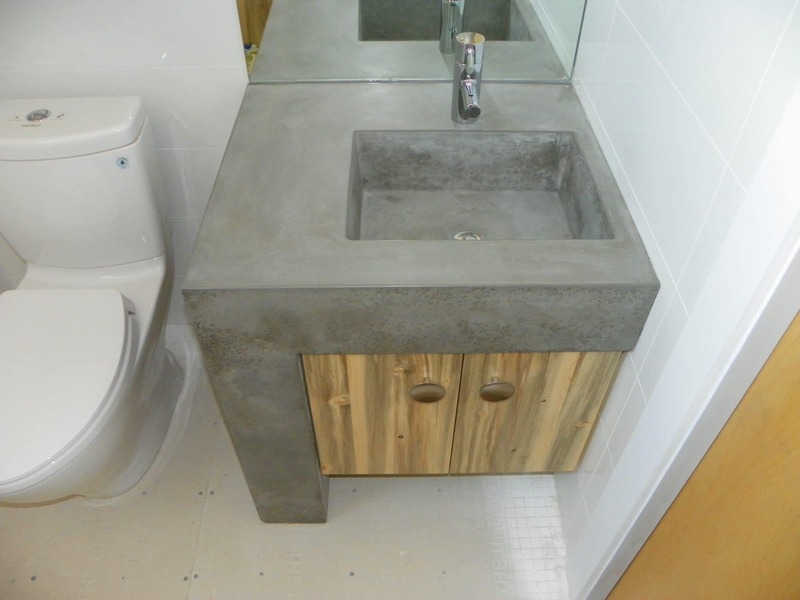 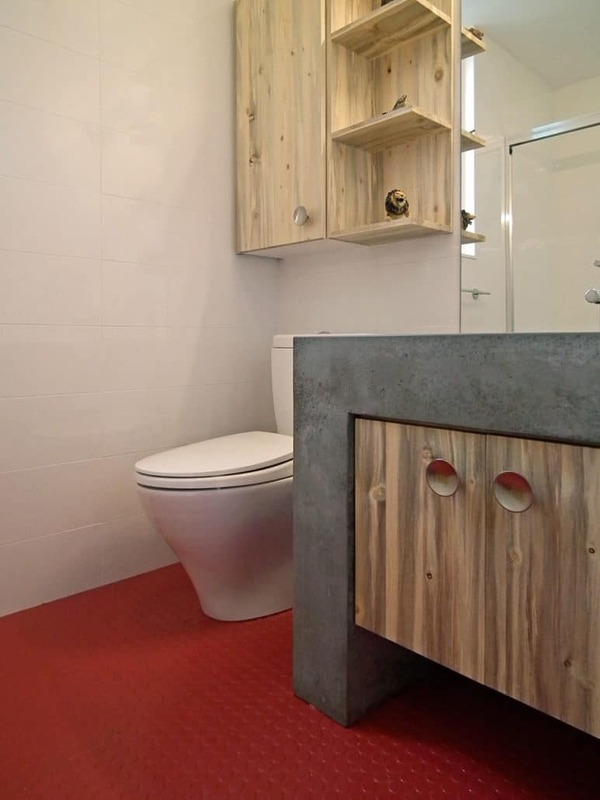 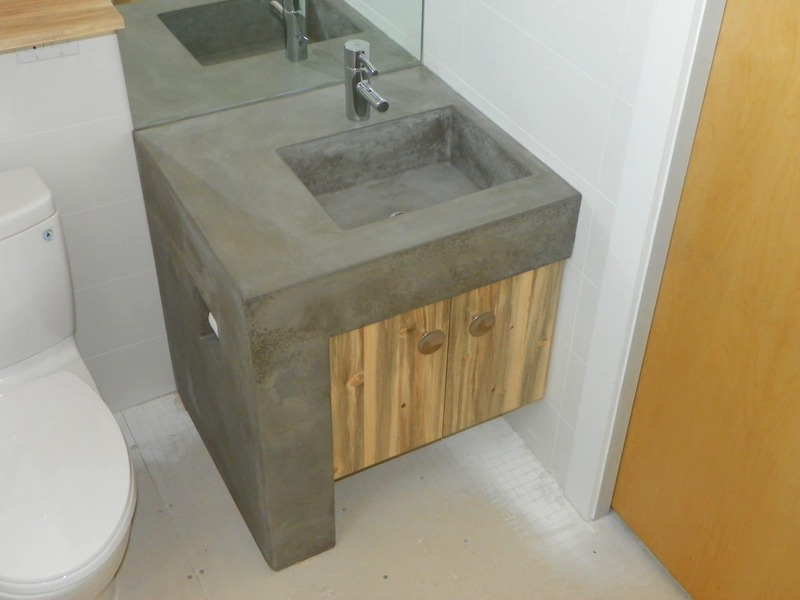 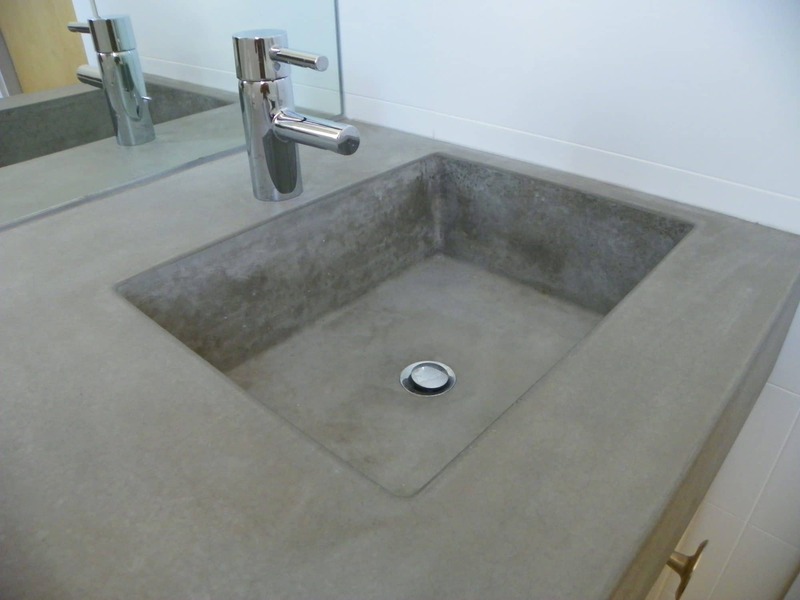 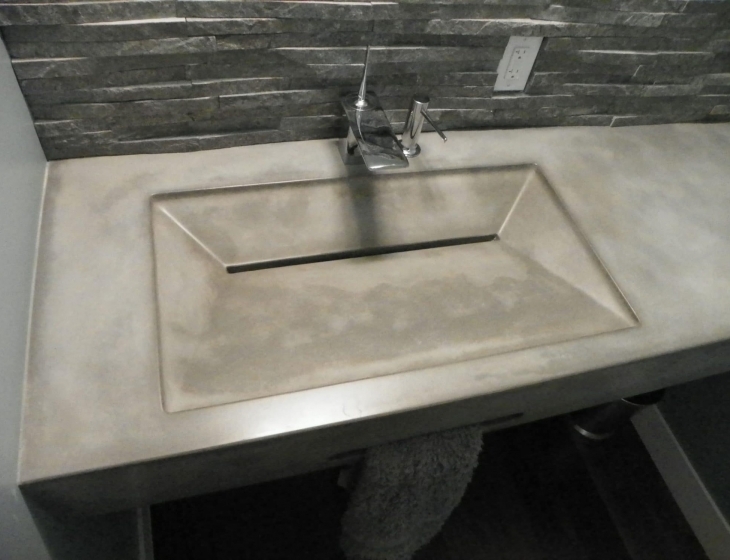 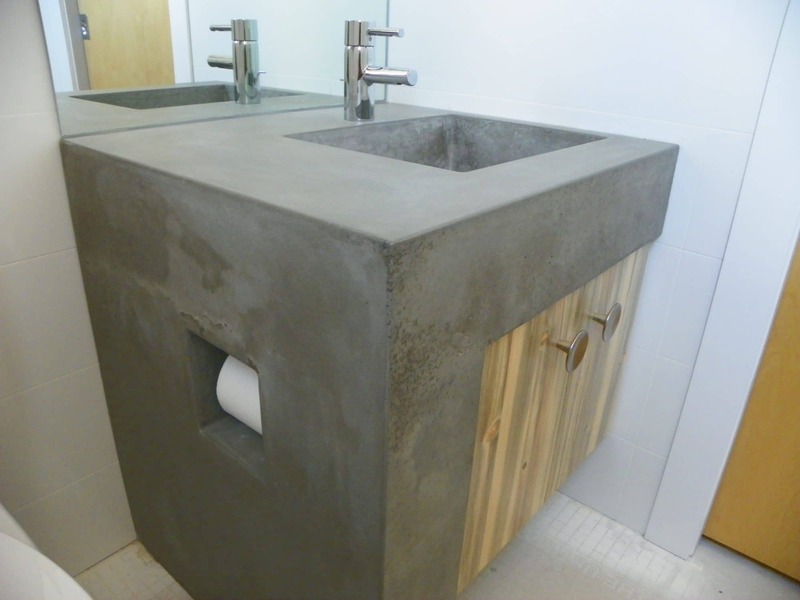 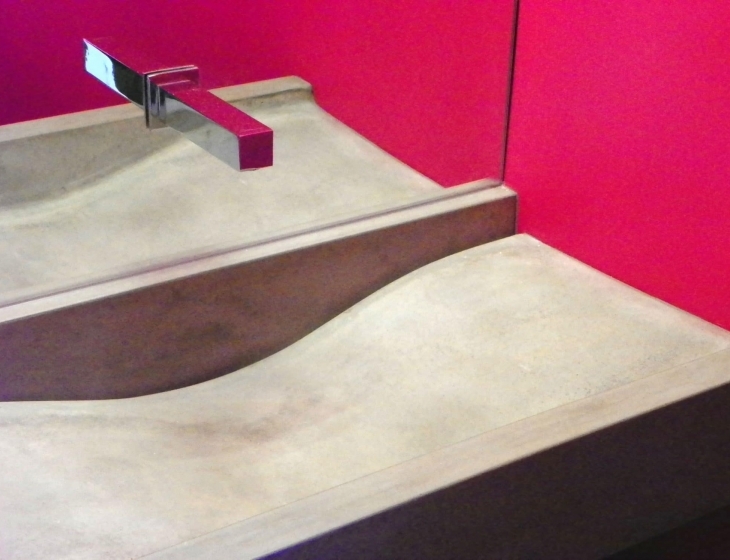 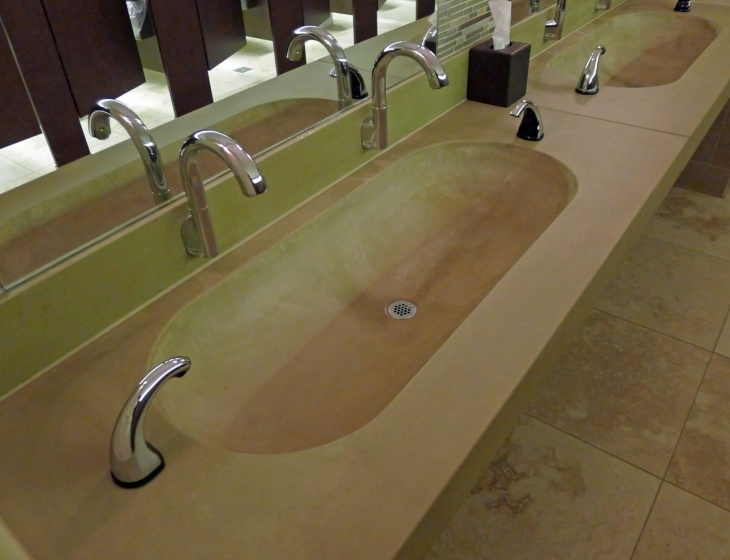 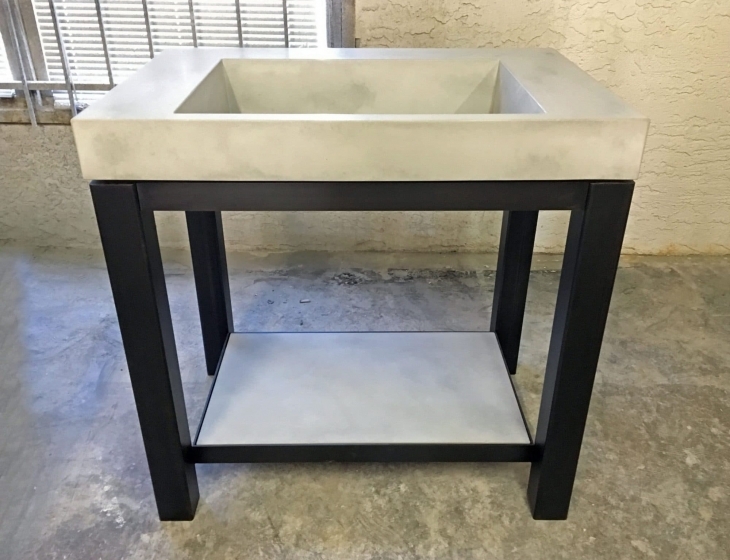 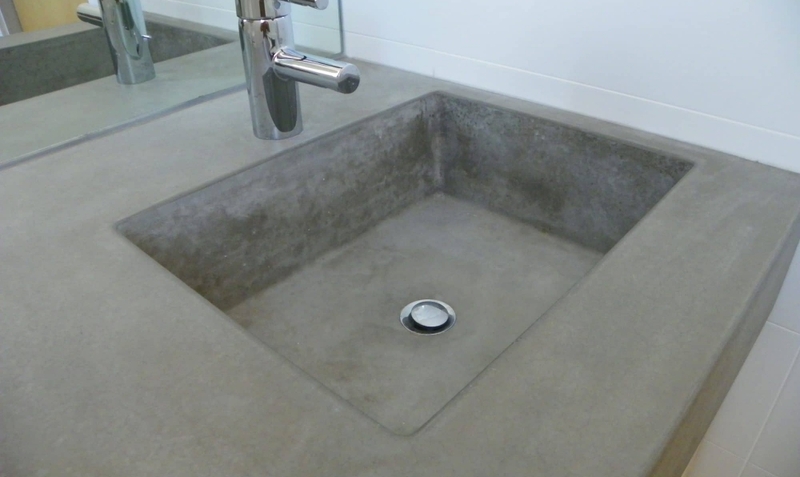 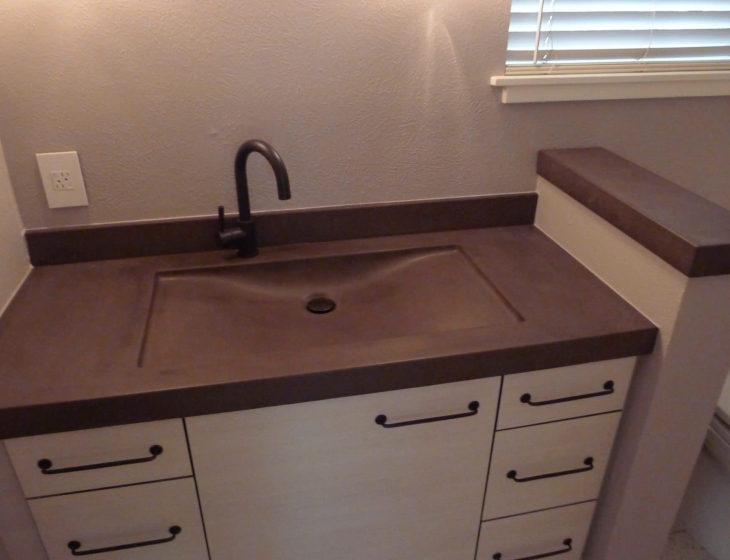 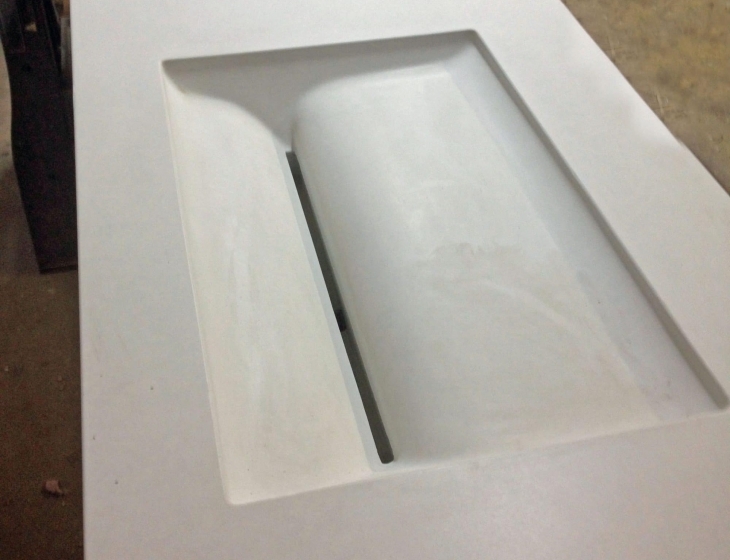 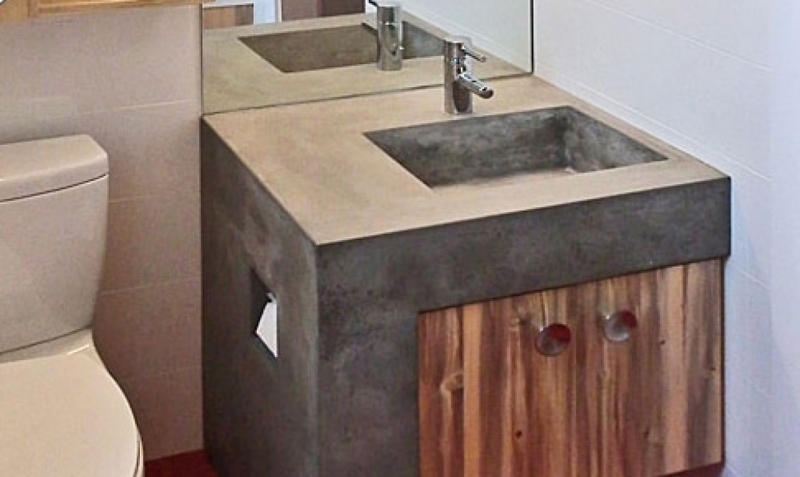 This square concrete sinks features an integral concrete leg. 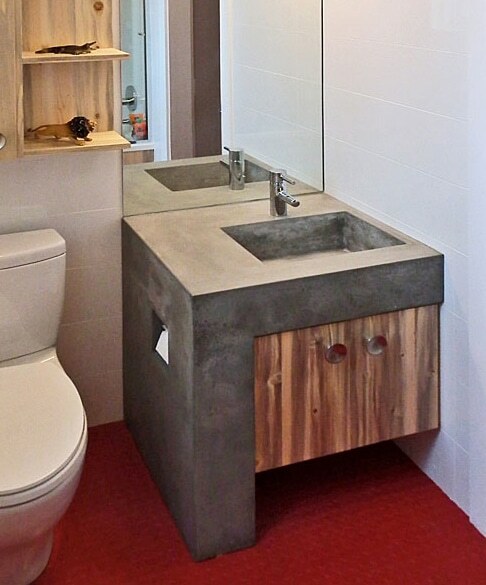 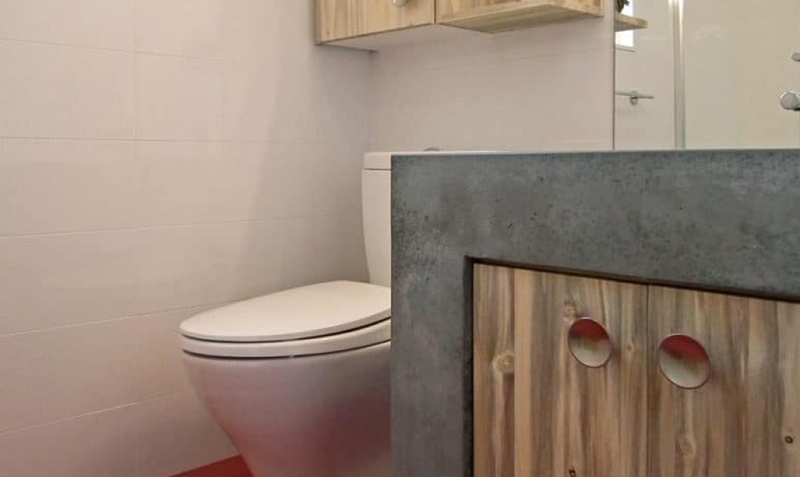 The natural grey concrete perfectly complements the grey streaks in the beetle kill pine cabinet. 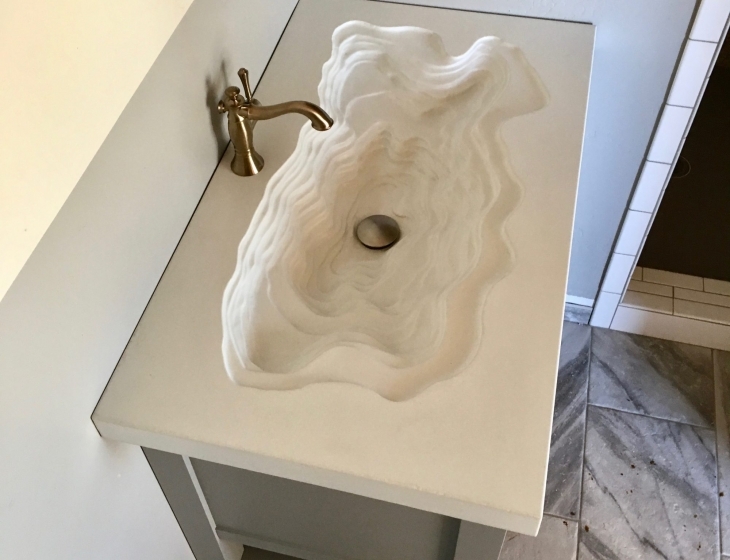 My favorite feature? 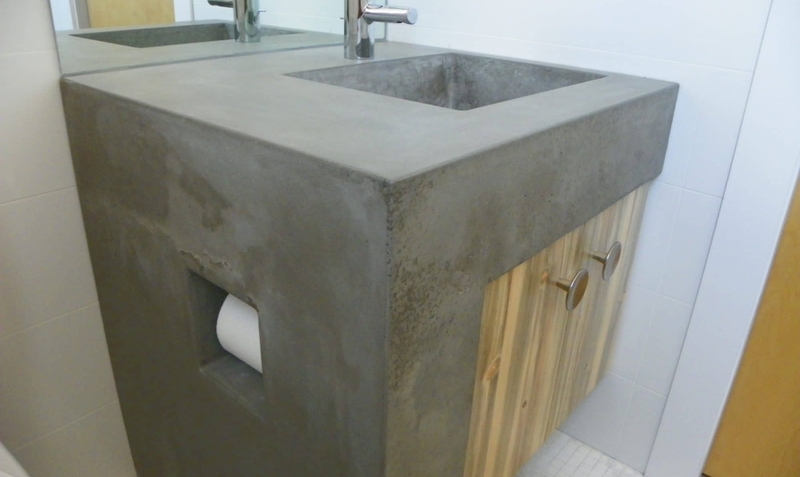 The integrated toilet paper holder.